Granting women the power to conceal and correct imperfect complexions has always been the mission of Pauline Youngblood, founder and president of Youngblood Mineral Cosmetics. Pauline draws inspiration from nature as well as her own practical experience as a paramedical aesthetician to dermatologists and plastic surgeons. Of course, all mineral cosmetics are not created equal. Pauline Youngblood developed her first products in a medical setting, specifically for patients recovering from harsh medical procedures, such as laser or chemical peels, surgeries, and even cancer treatments. Her patients experienced such dramatic success that they continued using her formula long after their skin had healed, and urged her to make it commercially available. 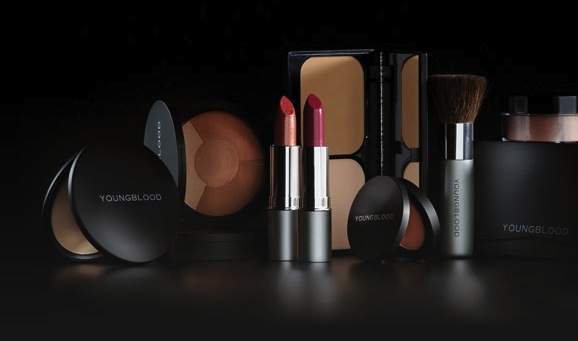 Today, Youngblood is the premier mineral cosmetic line available, because of the luxury formulation, ideal milling process, and chic, upscale image and packaging. From the first moment you brush it on, you'll notice the incredibly silky feel, and a polished, natural finish, unlike any other makeup you've ever tried. Clean and lightweight, it allows your skin to breathe and is non-comedogenic (it won't block pores or cause irritation). Even with our flawless coverage, you'll feel like you're wearing no makeup at all. And unlike other mineral cosmetics, Youngblood never looks "glittery"; instead you'll radiate a natural, healthy glow. It's no wonder Youngblood has emerged as the clear standard, used in upscale skin care clinics and med-spas around the world. Youngblood products are incredibly easy to use, long-lasting, and stand up to heat, humidity, and perspiration, no matter how active your lifestyle. Whether you're at the office or at the gym, our makeup is as high-performance as you are. Youngblood is perfect for all ages and skin types - even for women with sensitive or problem skin. And Youngblood offers a comprehensive set of the most realistic, natural-looking shades, for women all around the world. But don't take our word for it. Try Youngblood today and feel the difference for yourself.